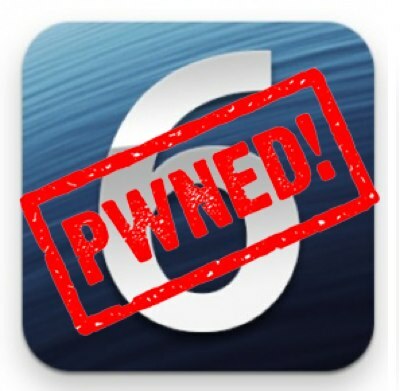 It’s been just four days since Apple released its first iOS 6 beta to registered developers, and it has already been jailbroken by the iPhone Dev-Team. There was some concern that the Cupertino company’s latest iOS release would make jailbreaking very difficult, but the team behind the latest iOS 5.1.1 untethered exploit have now released an iOS 6 beta jailbreak for developers. Before you get too excited, there are some things we must point out: First, this is a tethered jailbreak, which means the device must be connected to a computer every time it needs to be booted up. And second, this isn’t a user jailbreak release; it’s designed specifically for developers who want SSH access. As MuscleNerd mentions, there is no Cydia, so don’t expect this to give you access to all of your favorite jailbreak tweaks under iOS 6. Having said that, it is a promising start. THIS IS A TETHERED JAILBREAK ONLY! No new exploits are being exposed with this jailbreak (it uses geohot’s limera1n bootrom exploit), but that comes at a cost. You will need to use redsn0w to “Just boot” button to be able to use many things, including Cydia and Safari. If you see a white icon for Cydia, or if Cydia or Safari crash when you open them, it’s because you didn’t boot tethered. You must point redsn0w at your IPSW the first time you “Jailbreak” and “Just boot” tethered because that IPSW is only available to developers, and redsn0w can’t automatically fetch the pieces it needs from it. If you’re interested in this jailbreak, you can grab it now from the Dev-Team’s blog (link below).